Halloween Horror Nights is one of the premier haunted events to attend during the Halloween season. If you want to immerse yourself in your favorite horror films, look no further. For many years now, Halloween Horror Nights at Universal Studios Hollywood (and most recently Universal Studios Florida) has frightened and delighted me and my Wife Nikki. We love the non stop barrage of scares and, of course, the incredible designs of the mazes offered at the events. One big thing we always look forward to is stepping into our favorite films, tv shows or video games. Coming face to face with Jack Torrance from The Shining, having Pyramid Head loom over you or even trying to escape the grasp of Alice Cooper while traversing the seven layers of hell itself is such a rush. All of that seems to be overshadowed by one of the biggest properties in current pop culture…STRANGER THINGS. 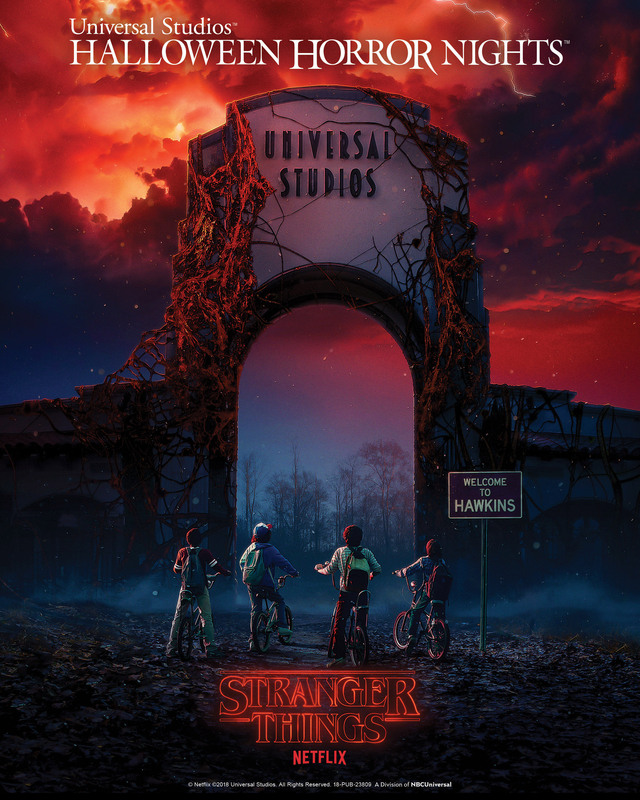 We are huge fans of the television show and simply cannot wait to see what the creators and artists, who put together Halloween Horror Nights, have in store for us! We just hope we come face to face with a Demogorgon or even dead Barb! Below you will find the official press release from Universal Studios regarding this HUGE announcement. What do you think about this announcement? Are you excited? Do you think IT can be topped by another intellectual property? (see what I did there…) Let us know on social media!